Greeling Hall is a modern facility having been completely remodeled in the fall of 2008 and houses the restroom and shower facilities on the north end of the building for the Popma and Camper’s Cabins and the Popma Rec Room on the south side of the building. The plumbing, heating and electrical have been completely redone throughout the structure. Greeling Hall sits in the center of the Camper’s Cabins at the south end of camp. The Girl’s facility is located in the northwest side of the building and is furnished with four showers, three flush toilets and a lavatory counter containing three wash basins. The Boy’s facility is located on the northeast side and is furnished with four showers, two flush toilets, one urinal and a lavatory counter containing three wash basins. Both the girls’ and boys’ facilities are handicap accessible, heated, have ceramic tiled floors, fiberglass reinforced panels on the walls, bake coated steel partitions between the toilets and showers and the lavatory countertops are granite. The Popma Rec Room is handicap accessible, heated, well lit, with carpeted floors and measures approximately 24’ by 24’. 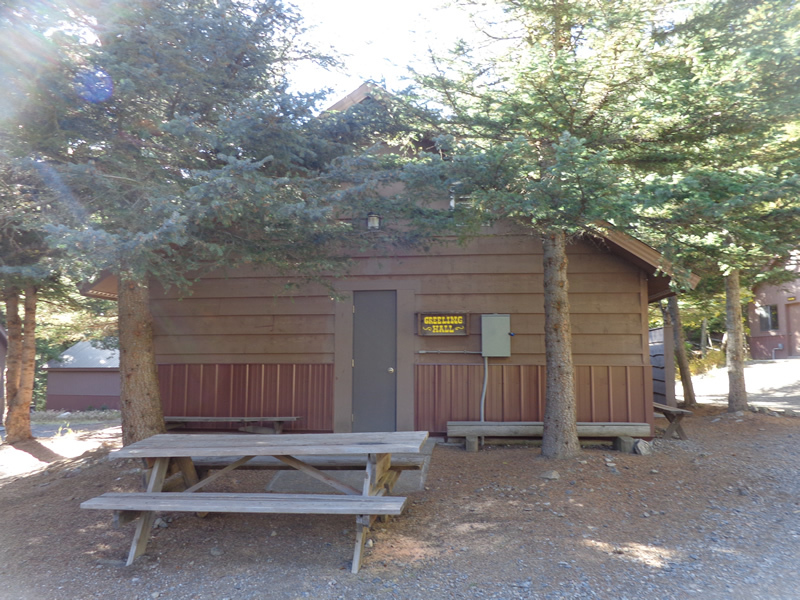 The restroom/shower facilities of Greeling Hall are not available after the camp is winterized in early October as the water supplying the camp facilities is shut off and drained for the winter months.